On 28 June 1914, Archduke Franz Ferdinand of Austria, heir apparent to the Austro-Hungarian throne, and his wife, Sophie, Duchess of Hohenberg, were shot dead in Sarajevo, by Gavrilo Princip, one of a group of six Bosnian Serb assassins coordinated by Danilo Ilić. The political objective of the assassination was to break off Austria-Hungary's south-Slav provinces so they could be combined into a Greater Serbia or a Yugoslavia. 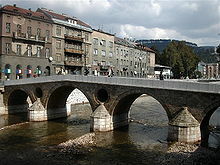 The assassins' motives were consistent with the movement that later became known as Young Bosnia. Serbian military officers stood behind the attack. At the top of these Serbian military conspirators was Chief of Serbian Military Intelligence Dragutin Dimitrijević, his right hand man Major Vojislav Tankosić, and Masterspy Rade Malobabić. Major Tankosić armed (with bombs and pistols) and trained the assassins, and the assassins were given access to the same clandestine tunnel of safe-houses and agents that Rade Malobabić used for the infiltration of weapons and operatives into Austria-Hungary. The assassins, the key members of the clandestine tunnel, and the key Serbian military conspirators who were still alive were arrested, tried, convicted and punished. Those who were arrested in Bosnia were tried in Sarajevo in October 1914. The other conspirators were arrested and tried before a Serbian kangaroo court on the French-controlled Salonika Front in 1916-1917 on unrelated false charges; Serbia executed three of the top military conspirators. Much of what is known about the assassinations comes from these two trials and related records. Under the 1878 Treaty of Berlin, Austria-Hungary received the mandate to occupy and administer the Ottoman provinces of Bosnia and Herzegovina while the Ottoman Empire retained official sovereignty. Under this same treaty, the Great Powers (Austria-Hungary, Britain, France, Germany, Italy, the Ottoman Empire and Russia) gave official recognition to the Kingdom of Serbia as a fully sovereign state. Initially, Serbia’s monarchs were content to reign within the borders set by the treaty. This changed in 1903 when Serbian military officers led by Dragutin Dimitrijević stormed the Serbian Royal Palace. After a fierce battle in the dark the attackers captured General Laza Petrović, head of the Palace Guard, and forced him to reveal the hiding place of King Alexander Obrenović and his wife Queen Draga. The King and Queen opened the door from their hiding place. The King was shot thirty times; the Queen eighteen. MacKenzie writes: "The royal corpses were then stripped and brutally sabred." The attackers threw the corpses of King Alexander and Queen Draga out of a palace window, ending any threat that loyalists would mount a counter attack." General Petrović was then killed too (Vojislav Tankosić organized the murders of Queen Draga's brothers; Dimitrijević and Tankosić in 1913-1914 figure prominently in the plot to assassinate Franz Ferdinand). The conspirators installed Peter I of the House of Karađorđević as the new king. The new dynasty was more nationalistic, more friendly to Russia and less friendly to Austria-Hungary. Over the next decade, disputes between Serbia and its neighbors erupted as Serbia moved to build its power and gradually reclaim its 14th-century empire. These conflicts included a customs dispute with Austria-Hungary beginning in 1906 (commonly referred to as the "Pig War"), the Bosnian crisis of 1908-1909 where Serbia assumed an attitude of protest over Austria-Hungary's annexation of Bosnia-Herzegovina (ending in Serbian acquiescence without compensation in March 1909 ), and finally the two Balkan Wars of 1912-1913 where Serbia conquered Macedonia and Kosovo from the Ottoman Empire. Serbia's military successes and Serbian outrage over the Austro-Hungarian annexation of Bosnia-Herzegovina emboldened nationalistic elements in Serbia and Serbs in Austria-Hungary who chafed under Austro-Hungarian rule and whose nationalist sentiments were stirred by Serbian "cultural" organizations. In the five years prior to 1914, lone assassins - mostly Serbian citizens of Austria-Hungary - made a series of unsuccessful assassination attempts in Croatia and Bosnia-Herzegovina against Austro-Hungarian officials. The assassins received sporadic support from Serbia. On 15 June 1910 Bogdan Žerajić attempted to kill the iron-fisted Governor of Bosnia and Herzegovina, General Marijan Vere�anin. Žerajić was a 22-year-old Orthodox Serb from Nevesinje, Herzegovina, who made frequent trips to Belgrade. (General Vere�anin went on to crush the last Bosnian peasant uprising in the second half of 1910.) The five bullets Žerajić fired at Vere�anin and the fatal bullet he put in his own brain made Žerajić an inspiration to future Serbian assassins, including Princip and Princip's accomplice Čabrinović. Princip said that Žerajić "was my first model. When I was seventeen I passed whole nights at his grave, reflecting on our wretched condition and thinking of him. It is there that I made up my mind sooner or later to perpetrate an outrage." In 1913, Emperor Franz Joseph commanded Franz Ferdinand to observe the military maneuvers in Bosnia scheduled for June 1914. Following the maneuvers Ferdinand and his wife planned to visit Sarajevo to open the state museum in its new premises there. Sophie, according to their oldest son, Max Hohenberg, accompanied her husband out of fear for his safety. 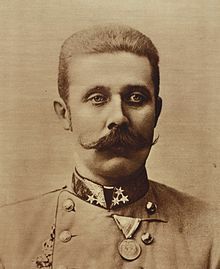 Franz Ferdinand was an advocate of increased federalism and widely believed to favor triadism, under which Austria-Hungary would be reorganized by combining the Slavic lands within the Austro-Hungarian empire into a third crown. A Slavic kingdom could have been a bulwark against Serb irredentism and Franz Ferdinand was therefore perceived as a threat by those same irredentists. Princip later stated to the court that preventing Franz Ferdinand's planned reforms was one of his motivations. The day of the assassination, 28 June, is 15 June in the Julian calendar, the feast of St. Vitus. In Serbia, it is called Vidovdan and commemorates the 1389 Battle of Kosovo against the Ottomans, at which the Sultan was assassinated in his tent by a Serb; it is an occasion for Serbian patriotic observances. Danilo Ilić was a Bosnian Orthodox Serb. He had worked as a school teacher and as a bank worker but in 1913 and 1914 he lived with, and outwardly off, his mother, who operated a small boarding house in Sarajevo. Secretly, Ilić was leader of the Serbian-irredentist Black Hand terrorist cell in Sarajevo. In late 1913, Danilo Ilić came to the Serbian listening post at Užice to speak to the officer in charge, Serbian Colonel C. A. Popović, who was a captain at the time and a member of the Black Hand. Ilić recommended an end to the period of revolutionary organization building and a move to direct action against Austria-Hungary. Popović passed Danilo Ilić on to Belgrade to discuss this matter with Chief of Serbian Military Intelligence Colonel Dragutin Dimitrijević, known more commonly as Apis. By 1913, Apis and his fellow military conspirators (drawn heavily from the ranks of the May 1903 coup) had come to dominate what was left of the Black Hand. There are no reports as to what took place between Ilić and Apis, but soon after their meeting, Apis' right hand man and fellow Black Hander, Serbian Major Vojislav Tankosić, who by this time was in charge of guerrilla training, called a Serbian irredentist planning meeting in Toulouse, France. Amongst those summoned to the Toulouse meeting was Mehmed Mehmedba�ić, a carpenter by trade and son of an impoverished Muslim noble from Herzegovina. He too was a member of the Black Hand, having been sworn into the organization by Black Hand Provincial Director for Bosnia-Herzegovina Vladimir Gacinović and Danilo Ilić. Mehmedba�ić was (here quoting Albertini paraphrasing Mehmedba�ić) "eager to carry out an act of terrorism to revive the revolutionary spirit of Bosnia." During this January 1914 meeting, various possible Austrian-Hungarian targets for assassination were discussed, including Franz Ferdinand. However, the participants decided only to dispatch Mehmed Mehmedba�ić to Sarajevo, to kill the Governor of Bosnia, Oskar Potiorek. On his way to Bosnia-Herzegovina from France, police searched Mehmedba�ić's train for a thief. Thinking the police might be after him, he threw his weapons (a dagger and a bottle of poison) out the train window. Once he arrived in Bosnia-Herzegovina he had to set about looking for replacement weapons. Ilić recruited the Serbian youths Vaso Čubrilović and Cvjetko Popović shortly after Easter (Orthodox Easter as given by Dedijer: 19 April 1914), for the assassination, as evidenced by the testimony of Ilić, Čubrilović, and Popović at the Sarajevo trial. Three youths - Gavrilo Princip, Trifun Grabež, and Nedjelko Čabrinović - Austrian-Hungarian Bosnian Serbs, living in Belgrade, testified at the Sarajevo trial that at about the same time (a little after Easter), they were eager to carry out an assassination and approached a fellow Bosnian and former guerrilla fighter known to be well connected and with access to arms, Milan Ciganović, and through him Major Tankosić and reached an agreement to transport arms to Sarajevo and participate in the assassination. 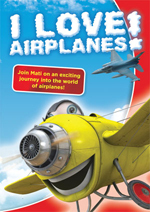 Agreement in principle was quickly reached, but delivery of the weapons was delayed for more than a month. The assassins would meet with Ciganović and he would put them off. At one point, Ciganović told Grabež: "Nothing doing, the old Emperor is ill and the Heir Apparent will not go to Bosnia." When Emperor Franz Joseph's health recovered the operation was a "go" again. Tankosić gave the assassins one pistol to practice with. On the morning of 30 May Prvanović's revenue sergeants assembled and Sergeant Budivoj Grbić accepted the task and led Princip and Grabež by foot to Isaković’s Island, a small island in the middle of the Drina River that separated Serbia from Bosnia. They and their weapons reached the island on 31 May. Grbić passed the terrorists and their weapons to the agents of the Serbian Narodna Odbrana for transport into Austro-Hungarian territory and from safe-house to safe-house. Princip and Grabež crossed into Austria-Hungary on the evening of 1 June. Princip and Grabež and the weapons were passed from agent to agent until on 3 June they arrived in Tuzla. They left the weapons in the hands of the Narodna Odbrana agent Mi�ko Jovanović and rejoined Čabrinović. The Narodna Odbrana agents reported their activities to the Narodna Odbrana President, Boža Janković, who in turn reported to the then Serbian Caretaker Prime Minister Nikola Pa�ić. The report to Pa�ić added the name of a new military conspirator, Serbian Major Kosta Todorović, Boundary Commissioner and Director of Serbian Military Intelligence Services for the frontier line from Rada to Ljuboija. Pa�ić’s handwritten notes from the briefing (estimated by Dedijer to have taken place on 5 June) included the nickname of one of the assassins ("Trifko" Grabež) and also the name of Major Tankosić. The Austrians later captured the report, Pa�ić’s handwritten notes, and additional corroborating documents. Čabrinović's father was a Sarajevo police official. In Tusla, Čabrinović bumped into one of his father's friends, Sarajevo Police Detective Ivan Vila, and struck up a conversation. By coincidence, Princip, Grabež and Čabrinović boarded the same train for Sarajevo as Detective Vila. Čabrinović inquired of the detective the date of Franz Ferdinand's visit to Sarajevo. The next morning, Čabrinović passed on the news to his fellow assassins that the assassination would be on 28 June. On 14 June, Ilić went to Tuzla to bring the weapons to Sarajevo. Mi�ko Jovanović hid the weapons in a large box of sugar. On 15 June, the two went separately by train to Doboj where Jovanović handed off the box to Ilić. Later that day, Ilić returned to Sarajevo by train, being careful to transfer to a local train outside Sarajevo and then quickly transfer to a tram to avoid police detection. Once at his mother's house, Ilić hid the weapons in a suitcase under a sofa. Then, on approximately 17 June, Ilić traveled to Brod (Dedijer puts it on 16 June, but trial records put it on 18 June). Questioned at trial, Ilić gave a confused explanation of the reason for his trip, first saying he had gone to Brod to prevent the assassination and then saying he had returned to Sarajevo from Brod to prevent the assassination. Dedijer puts forward the thesis (citing Bogijević) that Ilić went to Brod to meet an emissary of Apis, Djuro Ŝarac, who had instructions to cancel the assassination and then later Rade Malobabić was dispatched from Serbia to Sarajevo to reauthorize the assassination. Ilić began handing out the weapons on 27 June. Until 27 June Ilić had kept the identities of the assassins from Belgrade secret from those he had recruited locally and vice-versa. Then, that night, as Mehmedba�ić told Albertini: "On the eve of the outrage Ilić introduced me to Princip in a Sarajevo caf� with the words 'Mehmedba�ić who to-morrow is to be with us.'" The three sent a postcard to Black Hand Provincial Director for Bosnia-Herzegovina Vladimir Gaćinović in France. The following morning, on 28 June 1914, Ilić positioned the six assassins along the motorcade route. Ilić walked the street, exhorting the assassins to bravery. 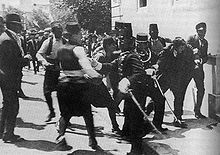 Gavrilo Princip had a girlfriend called Helen Mili�ić. On 27 June Helen spent the night with Gavrilo in the park across the river from where the attack occurred. Gavrilo desperately wanted to make love, but Helen said no. Even when he told her he probably would die the following morning, she would not relent. Boro Mihačević, a member of Young Bosnia and participant in the conspiracy, testified that Gavrilo was so angry the morning of June 28 that he would have shot God himself. On the morning of 28 June 1914, Franz Ferdinand and his party proceeded by train from Ilidža Spa to Sarajevo. Governor Oskar Potiorek met the party at Sarajevo station. Six automobiles were waiting. Due to a mistake, three local police officers got into the first car with the chief officer of special security; the special security officers who were supposed to accompany their chief got left behind. The second car carried the Mayor and the Chief of Police of Sarajevo. The third car in the motorcade was a Grx�f & Stift open sports car with its top folded down. 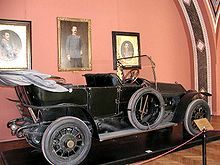 Franz Ferdinand, Sophie, Governor Potiorek, and Lieutenant Colonel Count Franz von Harrach rode in this third car. The motorcade's first stop on the preannounced program was for a brief inspection of a military barracks. According to the program, at 10:00 am, the motorcade was to leave the barracks for the town hall by way of the Appel Quay. Picture - The 1911 Grx�f & Stift Double Phaeton in which the Archduke Franz Ferdinand was riding at the time of his assassination. The motorcade passed the first assassin, Mehmedba�ić. Danilo Ilić had placed him in front of the garden of the Mostar Cafe and armed him with a bomb. Mehmedba�ić failed to act. Ilić placed Vaso Čubrilović next to Mehmedba�ić, arming him with a pistol and a bomb. He too failed to act. 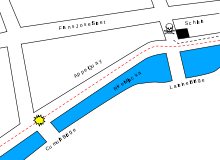 Further along the route, Ilić placed Nedeljko Čabrinović on the opposite side of the street near the Miljacka River arming him with a bomb. 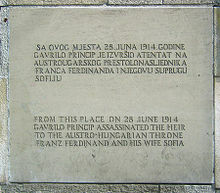 At 10:10 am, Franz Ferdinand's car approached and Čabrinović threw his bomb. The bomb bounced off the folded back convertible cover into the street. The bomb's timed detonator caused it to explode under the next car, putting that car out of action, leaving a 1-foot-diameter (0.30 m), 6.5-inch-deep (170 mm) crater, and wounding a total of 20 people according to Reuters. Čabrinović swallowed his cyanide pill and jumped into the Miljacka. Čabrinović's suicide attempt failed as the cyanide only induced vomiting, and the Miljacka was only five inches deep. Police dragged Čabrinović out of the river, and he was severely beaten by the crowd before being taken into custody. The procession sped away towards the Town Hall leaving the disabled car behind. Cvjetko Popović, Gavrilo Princip and Trifun Grabež failed to act as the motorcade passed them at high speed. Arriving at the Town Hall for a scheduled reception, Franz Ferdinand showed understandable signs of stress, interrupting a prepared speech of welcome by Mayor Curcic to protest "Mr. Mayor, I came here on a visit and I get bombs thrown at me. It is outrageous." Duchess Sophie then whispered into Franz Ferdinand's ear, and after a pause, Franz Ferdinand said to the mayor: "Now you may speak." He then became calm and the mayor gave his speech. Franz Ferdinand had to wait as his own speech, wet with blood as it had been in the damaged car, was brought to him. To the prepared text he added a few remarks about the day's events thanking the people of Sarajevo for their ovations "as I see in them an expression of their joy at the failure of the attempt at assassination." Officials and members of the Archduke's party discussed what to do next. Franz Ferdinand and Sophie gave up their planned programs in favor of visiting the wounded from the bombing at the hospital. Count Harrach took up a protective position on the left hand running board of Franz Ferdinand’s car. This is confirmed by photographs of the scene outside the Town Hall. At 10:45am, Franz Ferdinand and Sophie got back into the motorcade, once again in the third car. In order to avoid the city centre, General Oskar Potiorek decided that the royal car should travel straight along the Appel Quay to the Sarajevo Hospital. However, Potiorek forgot to inform the driver, Leopold Lojka,, about this decision. On the way to the hospital, Loyka took a right turn into Franz Josef Street. After learning that the assassination had been unsuccessful Princip went to a nearby food shop (Schiller's delicatessen). When Princip emerged, he saw Franz Ferdinand's open car reversing after having taken the wrong turn as it drove past, near the Latin Bridge. After realizing the mistake, the driver put his foot on the brake, and began to back up. In doing so the engine of the car stalled and the gears locked, giving Princip his opportunity. Princip stepped forward, pistol-whipped a nearby pedestrian, and fired two shots from a distance of about five feet using a Belgian-made 9x17mm (.380 ACP) Fabrique Nationale model 1910 semi-automatic pistol. Pistol serial numbers 19074, 19075, 19120 and 19126 were supplied to the assassins; Princip used #19074. According to Albertini, "the first bullet wounded the Archduke in the jugular vein, the second inflicted an abdominal wound on the Duchess." Princip was immediately arrested. At his sentencing, Princip stated that he had intended to kill Governor Potiorek not Sophie. Both victims remained seated upright, but dying while being driven to the Governor's residence for medical treatment. As reported by Count Harrach, Franz Ferdinand's last words were "Sophie, Sophie! Don't die! Live for our children!" followed by six or seven utterances of "It is nothing." in response to Harrach's inquiry as to Franz Ferdinand's injury. These utterances were followed by a long death rattle. Sophie was dead on arrival at the Governor's residence. Franz Ferdinand died 10 minutes later. All of the assassins were eventually caught. Those in Austrian-Hungarian custody were tried together with members of the tunnel who had helped deliver them and their weapons to Sarajevo. Mehmedba�ić was arrested in Montenegro, but was allowed to "escape" to Serbia where he joined Major Tankosić's auxiliaries, but in 1916 Serbia imprisoned him on other false charges (see criminal penalty section below). Picture - The Sarajevo trial in progress. Princip is seated in the center of the first row. Austro-Hungarian authorities arrested and prosecuted the Sarajevo assassins (except for Mehmedba�ić who had escaped to Montenegro and was released from police custody there to Serbia) together with the agents and peasants who had assisted them on their way. The top count in the indictments was conspiracy to commit high treason involving official circles in the Kingdom of Serbia. Conspiracy to commit high treason carried a maximum sentence of death which conspiracy to commit simple murder did not. The trial was held from 12 October to 23 October with the verdict and sentences announced on 28 October 1914. The adult defendants, facing the death penalty, portrayed themselves at trial as unwilling participants in the conspiracy. The examination of defendant Veljko Cubrilović (who helped coordinate the transport of the weapons and was a Narodna Odbrana agent) is illustrative of this effort. Cubrilović stated to the court: "Princip glared at me and very forcefully said 'If you want to know, it is for that reason and we are going to carry out an assassination of the Heir and if you know about it, you have to be quiet. If you betray it, you and your family will be destroyed.'" Under questioning by defense counsel Cubrilović described in more detail the basis of the fears that he said had compelled him to cooperate with Princip and Grabež. " Cubrilović explained that he was afraid a revolutionary organization capable of committing great atrocities stood behind Princip and that he therefore feared his house would be destroyed and his family killed if he did not comply and explained that he knew such an organization existed in Serbia, at least at one time. When pressed for why he risked the punishment of the law, and did not take the protection of the law against these threats he responded: "I was more afraid of terror than the law." In order to refute the grand charge, the conspirators from Belgrade, who because of their youth did not face the death penalty, focused during the trial on putting blame on themselves and deflecting it from official Serbia and modified their court testimony from their prior depositions accordingly. Princip stated under cross examination: "I am a Yugoslav nationalist and I believe in unification of all South Slavs in whatever form of state and that it be free of Austria." 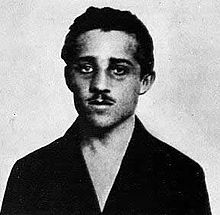 Princip was then asked how he intended to realize his goal and responded: "By means of terror." Cabrinović, though, testified that the political views that motivated him to kill Franz Ferdinand were views held in the circles he traveled in within Serbia. The court did not buy the defendant's stories attempting to hold official Serbia blameless. The verdict, quoting Albertini, ran: "The court regards it as proved by the evidence that both the Narodna Obrana and military circles in the Kingdom of Serbia in charge of the espionage service, collaborated in the outrage." Although true, this part of the verdict is accused of being politically influenced. At trial Čabrinović had expressed his regrets for the murders. Following sentencing, Čabrinović received a letter of complete forgiveness from the three young children the assassins had orphaned. Čabrinović and Princip died of tuberculosis in prison. Those under the age of 20 years at the time of the crime could receive a maximum sentence of 20 years under Austro-Hungarian law. The court heard arguments regarding Princip's age, as there was some doubt as to his true date of birth but concluded that Princip was under 20 at the time of the assassination. Due to Bosnia not yet being assigned to Austria or to Hungary, the Austro-Hungarian Finance Minister administered Bosnia and had responsibility for recommending clemency to the Kaiser. In late 1916 and early 1917, secret peace talks took place between Austria-Hungary and France. There is circumstantial evidence that parallel discussions were held between Austria-Hungary and Serbia with Prime Minister Pa�ić dispatching his right hand-man Stephan Protic and Regent Alexander dispatching his confidant colonel Petar Živković to Geneva on secret business. Charles I of Austria laid out Austria-Hungary's key demand for returning Serbia to the control of the Serbian Government in exile: that Serbia should provide guarantees that there be no further political agitation emanating from Serbia against Austria-Hungary. For some time, Regent Alexander and officers loyal to him had planned to get rid of the military clique headed by Apis as Apis represented a political threat to Alexander's power. The Austro-Hungarian peace demand gave added impetus to this plan. On 15 March 1917 Apis and the officers loyal to him were indicted, on various false charges unrelated to Sarajevo (the case was retried before the Supreme Court of Serbia in 1953 and all defendants were exonerated), by Serbian Court Martial on the French-controlled Salonika front. On 23 May Apis and eight of his associates were sentenced to death; two others were sentenced to 15 years in prison. One defendant died during the trial and the charges against him were dropped. 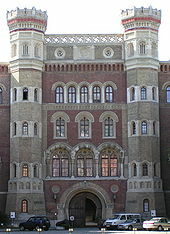 The Serbian High Court reduced the number of death sentences to seven. Regent Alexander commuted four of the remaining death sentences, leaving just three death sentences in place. In justifying the executions, Prime Minister Pa�ić wrote to his envoy in London:"...Dimitrijević (Apis) besides everything else admitted he had ordered Franz Ferdinand to be killed. And now who could reprieve them?" Vojislav Tankosić died in battle in late 1915 and so was not put on trial. Following the assassinations, Serbian Ambassador to France Milenko Vesnić and Serbian Ambassador to Russia Spalaiković put out statements claiming that Serbia had warned Austria-Hungary of the impending assassination. Serbia soon thereafter denied making warnings and denied knowledge of the plot. Prime Minister Pa�ić himself made these denials to Az Est on 7 July and to the Paris Edition of the New York Herald on 20 July. Other voices eventually spoke out on the “warning”. As Serbian Education Minister Ljuba Jovanović wrote in Krv Sloventsva, in late May or early June, Prime Minister Pa�ić reviewed the plot of the impending assassination with members of his cabinet. On 18 June, a telegram, lacking in specifics, ordered Serbia's Ambassador to Vienna, Jovan Jovanović, to warn Austria-Hungary that Serbia had reason to believe there was a conspiracy to assassinate Franz Ferdinand in Bosnia. On 21 June, Ambassador Jovanović met with Austro-Hungarian Finance Minister Bilinski. According to Serbian Military Attach� to Vienna, Colonel Lesanin, Ambassador Jovanović, spoke to Bilinski and "...stressed in general terms the risks the Archduke heir apparent might run from the inflamed public opinion in Bosnia and Serbia. Some serious personal misadventure might befall him. His journey might give rise to incidents and demonstrations that Serbia would deprecate but that would have fatal repercussions on Austro-Serbian relations." Jovanović came back from the meeting with Bilinski and told Lesanin that "...Bilinski showed no sign of attaching great importance to the total message and dismissed it limiting himself to remarking when saying goodbye and thanking him: 'Let us hope nothing does happen. '” The Austro-Hungarian Finance Minister took no action based on Jovanović's remarks. In the days leading up to the assassination, Pa�ić was caretaker prime minister because during this period the Serbian Government briefly fell to a political alliance led by the Serbian Military. The military favored promoting Jovan Jovanović to Foreign Minister, and Jovanović's loyalties one might expect to have been divided and his orders therefore carried out poorly. By choosing a military loyalist to convey the message, and by not including any of the specifics such as the conspirators' names and weapons, Pa�ić, a survivor, hedged his bets against the various possible outcomes and consequences of the impending assassination. Due to the suppression by Serbia of Apis' confession and of the Salonika trial transcripts historians did not initially link Malobabić closely to the Sarajevo attack. Apis' confession, however, states that "I engaged Malobabić to organize the assassination on the occasion of the announced arrival of Franz Ferdinand to Sarajevo." At the Salonika trial, Colonel Ljubomir Vulović (head of the Serbian Frontiers Service) testified: 'In 1914 on occasion of my official trip from Loznica to Belgrade, I received a letter at the General Staff [signed by Marshal Putnik, Serbia's top military officer] noting that agents of Malobabić would come and a teacher whose name I don’t recall (Danilo Ilić was a teacher but it is unclear if the teacher in question was Ilić as Ilić can be placed in Brod but not Loznica) so I could sent [sic] them into Bosnia.’ Because of that ‘I went to Loznica and either that day or very soon afterwards sent Rade and that teacher into Bosnia.' Soon thereafter occurred the Sarajevo assassination of Archduke Franz Ferdinand.” On the eve of his execution, Malobabić told a priest: “They ordered me to go to Sarajevo when that assassination was to take place, and when everything was over, they ordered me to come back and fulfill other missions, and then there was the outbreak of the war.” Vladimir Dedijer in The Road to Sarajevo presented additional testimonial evidence that Malobabić arrived in Sarajevo on the eve of the Sarajevo attack and gave the final go ahead for the operation to Danilo Ilić. This meshes with Dedijer's theory that Djuro Ŝarac had given instructions to Ilić on 16 June cancelling the assassination. 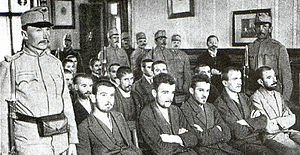 Soon after their confessions, Serbia executed Malobabić, Vulović, and Apis on false charges. Serbia published no clarifications of their confessions with regards to the Sarajevo attack. An alternative theory to the Sarajevo attack being a Serbian Military Intelligence Operation was that it was a "Black Hand" operation. The "Black Hand" was a shadowy organization formed in Serbia as a counterweight to the Bulgaria-sponsored Internal Macedonian Revolutionary Organization (IMRO). After Serbia's victory over Bulgaria in Macedonia in the Balkan Wars, the "Black Hand" became moribund due to the death of its president and the failure to replace him, an inactive secretary, casualties, broken links between its 3-man cells, and a drying up of funding. By 1914 the "Black Hand" was no longer operating under its constitution but rather as a creature of the Chief of Serbian Military Intelligence, Apis, and its active ranks were composed mostly of Serbian officers loyal to Apis. Apis' confession to ordering the operation that begins with the phrase "As the Chief of the Intelligence Department of the General Staff", the fact that the military chain of command was invoked, the moribund nature of the "Black Hand" and the fact that under the "Black Hand" constitution Article 16, such an assassination could only be ordered by a vote of the Supreme Council Directorate, the President or the Secretary and no such order was made, are factors in favor of assigning responsibility to Serbian Military Intelligence. The fact that Milan Ciganović was involved, that the key officers involved were "Black Hand" members, that "Black Hand" Provincial Director for Bosnia-Herzegovina Vladimir Gaćinović was consulted and that there was no official budget for the operation favors assigning responsibility to the "Black Hand". On 26 March Ilić and Mehmedba�ić had already agreed to kill Franz Ferdinand based on instructions from Belgrade, so although a newspaper clipping may have indeed been sent to Čabrinović, it arrived too late to have initiated the plot. Serbian Military Intelligence - through remnants of the "Black Hand" - penetrated the Narodna Odbrana, using its clandestine tunnel to smuggle the assassins and their weapons from Belgrade to Sarajevo. In the 5 June 1914 report by the President of the Narodna Odbrana Boža Milanović to Prime Minister Pa�ić one can sense the frustration of the President over the hijacking of his organization in the final sentence dealing with Sarajevo: "Boža has informed all the agents that they should not receive anyone unless he produces the password given by Boža." Prime Minister Pa�ić received early information of the assassination plan. The information was received by Pa�ić early enough, according to Education Minister Ljuba Jovanović, for the government to order the border guards to prevent the assassins from crossing. This places the cabinet minister discussions in late May and the information release to some time before that. Albertini concluded that the source of the information was most likely Milan Ciganović. Bogiĉević made a more forceful case. Apis' confession to ordering the assassination of Franz Ferdinand states that Russian Military Attach� Artamonov promised Russia's protection from Austria-Hungary if Serbia's intelligence operations became exposed and that Russia had funded the assassination. Artamonov denied the involvement of his office in an interview with Albertini. Artamonov stated that he went on vacation to Italy leaving Assistant Military Attach� Alexander Werchovsky in charge and though he was in daily contact with Apis he did not learn of Apis' role until after the war had ended. Albertini writes that he “remained unconvinced by the behavior of this officer.” Werchovsky admitted the involvement of his office and then fell silent on the subject. On 1 June 1914 (14 June new calendar), Emperor Nicholas had an interview with King Charles I of Roumania, at Constanza. I was there at the time ... yet as far as I could judge from my conversation with members of his (Russian Foreign Minister Sazonov’s) entourage, he (Sazonov) was convinced that if the Archduke (Franz Ferdinand) were out of the way, the peace of Europe would not be endangered. The murder of the heir to the Austro-Hungarian Empire and his wife produced widespread shock across Europe, and there was initially much sympathy for the Austrian position. Within two days of the assassination, Austria-Hungary and Germany advised Serbia that it should open an investigation, but Secretary General to the Serbian Ministry of Foreign Affairs Slavko Gruic, replied "Nothing had been done so far and the matter did not concern the Serbian Government." An angry exchange followed between the Austrian Charg� d'Affaires at Belgrade and Gruic. After conducting a criminal investigation, verifying that Germany would honor its military alliance, and persuading the skeptical Hungarian Count Tisza, Austria-Hungary issued a formal letter to the government of Serbia. The letter reminded Serbia of its commitment to respect the Great Powers' decision regarding Bosnia-Herzegovina, and to maintain good neighborly relations with Austria-Hungary. The letter contained specific demands aimed at preventing the publication of propaganda advocating the violent destruction of Austria-Hungary, removing the people behind this propaganda from the Serbian Military, arresting the people on Serbian soil who were involved in the assassination plot and preventing the clandestine shipment of arms and explosives from Serbia to Austria-Hungary. This letter became known as the July Ultimatum, and Austria-Hungary stated that if Serbia did not accept all of the demands in total within 48 hours, it would recall its ambassador from Serbia. After receiving a telegram of support from Russia, Serbia mobilized its army and responded to the letter by completely accepting point #8 demanding an end to the smuggling of weapons and punishment of the frontier officers who had assisted the assassins and completely accepting point #10 which demanded Serbia report the execution of the required measures as they were completed. Serbia partially accepted, finessed, disingenuously answered or politely rejected elements of the preamble and enumerated demands #1-7 and #9. The shortcomings of Serbia's response were published by Austria-Hungary and can be seen beginning on page 364 of Origins of the War, Vol. II by Albertini, with the Austrian complaints placed side-by-side against Serbia's response. Austria-Hungary responded by breaking diplomatic relations. The next day, Serbian reservists being transported on tramp steamers on the Danube crossed onto the Austro-Hungarian side of the river at Temes-Kubin and Austro-Hungarian soldiers fired into the air to warn them off. The report of this incident was initially sketchy and reported to Emperor Franz-Joseph as “a considerable skirmish”. Austria-Hungary then declared war and mobilized the portion of its army that would face the (already mobilized) Serbian Army on 28 July 1914. Under the Secret Treaty of 1892 Russia and France were obliged to mobilize their armies if any of the Triple Alliance mobilized. Russia's mobilization set-off full Austro-Hungarian and German mobilizations. Soon all the Great Powers except Italy had chosen sides and gone to war. Princip's weapon itself, along with the Grx�f & Stift Double Phaeton in which the Archduke was riding, his bloodstained light blue uniform and plumed cocked hat, and the chaise longue on which he died, are on permanent display in the Heeresgeschichtliches Museum (Museum of Military History) in Vienna, Austria. 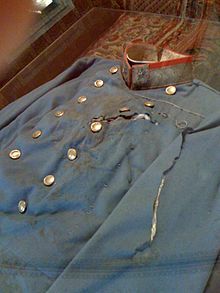 The bullet fired by Gavrilo Princip, sometimes referred to as "the bullet that started World War I", is stored as a museum exhibit in the Konopi�tě Castle near the town of Bene�ov, Czech Republic. Scottish pop band Franz Ferdinand referenced the event obliquely in their 2004 breakthrough single "Take Me Out". Their light show in concert uses crosshairs to reinforce the allusions. More directly, the single's B-side "All for You, Sophia" describes in detail the assassination of the Archduke and his wife. Albertini, Luigi. 1953. 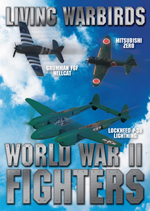 Origins of the War of 1914 (Vol II). 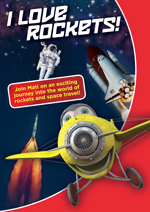 Oxford University Press: London. 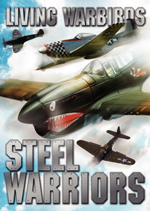 Alien abduction � Area 51 � Bermuda Triangle � Majestic 12 � Men in Black � Project Serpo � Reptilians � Annunaki (Zecharia Sitchin).